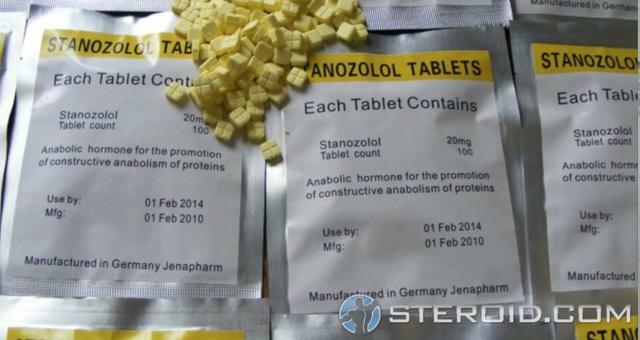 Although used to stave off lean tissue wasting, Winstrol is not what we’d call a bulking steroid. You will rarely find this steroid in an off-season mass gaining stack. However, it could be used in an effort to enhance the activity of the other steroids being used due to the strong SHBG reduction it will provide but this is generally not recommended. When we dive into the side effects of Winstrol, we will find it is very hepatotoxic and use should be limited to when it’s most valuable. For the male athlete, this will not be during the bulking phase. Beyond athletics, the gym rat or bodybuilding effects of Winstrol will be best displayed once you’re already somewhat lean. The steroid will help produce a dryer, harder look but only if you’re relatively lean. It will also aid in lean tissue preservation but not to a very strong degree that’s often needed in such a phase. It’s typically recommended that Winstrol only be used in this capacity as a secondary steroid, not a base or foundational steroid. Both men and women can greatly benefit from Winstrol during the cutting phase. While it won’t be the best lean tissue preserver, many report maintaining more of their strength that is often lost when dieting when Winstrol is in play. Vascularity should also become more pronounced and overall the individual should enjoy an overall enhancement in definition. Of all the potential side effects of Winstrol those surrounding cardiovascular strain, particularly cholesterol carry the greatest probability. The Stanozolol hormone is well known for reducing HDL cholesterol (good cholesterol) and increasing LDL cholesterol (bad cholesterol). Winstrol is a hepatotoxic anabolic steroid as are all C17-aa anabolic steroids. However, the stress a C17-aa steroid can cause the liver will vary greatly depending on the C17-aa steroid in question. Winstrol is far more hepatotoxic than Anavar (Oxandrolone) on a per milligram basis, but it appears to be less hepatotoxic on a per milligram basis than steroids like Dianabol (Methandrostenolone).